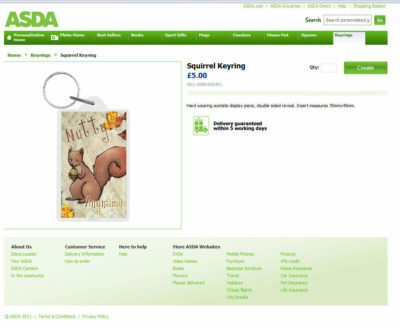 Personalised gift and greetings card illustrations for ASDA | Mair Perkins Ltd.
ASDA launched a new online personalised gift shop in December 2011. 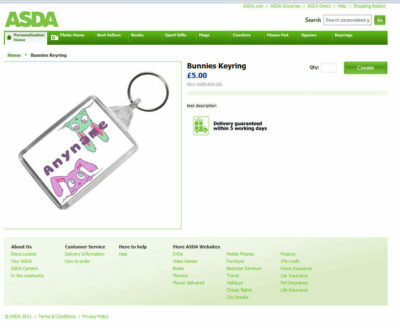 The novel feature of ASDA’s personalised gift shop is the ability for customers to preview the product in a 3D model before purchasing. 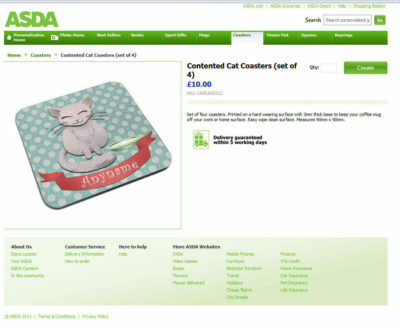 One of the companies assisting the launch of this new product range was a Derbyshire based printing company who hired a team of designers to produce art work for ASDA. 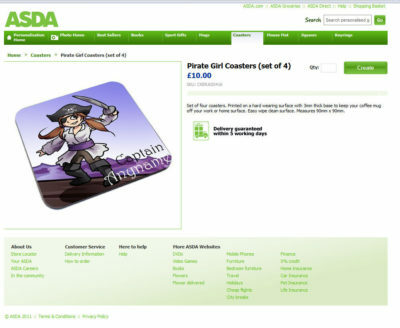 Hundreds of designs were produced over a few months for a range of products such as cards, mugs, key rings, jigsaws, mouse mats and coasters with more in the pipeline. 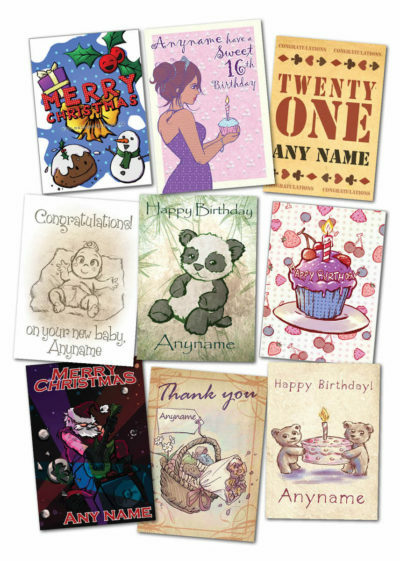 Some of the designs are for occasions such as birthdays and anniversaries or seasonal designs for Christmas and Valentines. 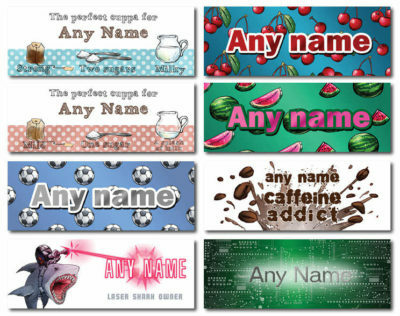 Some products are all year round gifts so required general themes for people of all ages with various interests, hobbies and personalities. 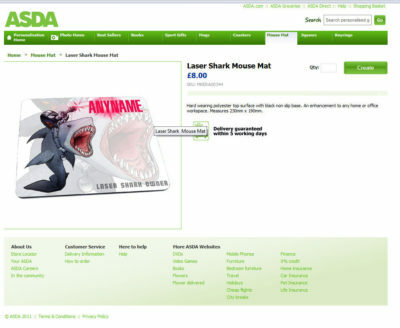 Here you can see a few examples of the illustrations and designs for ASDA. 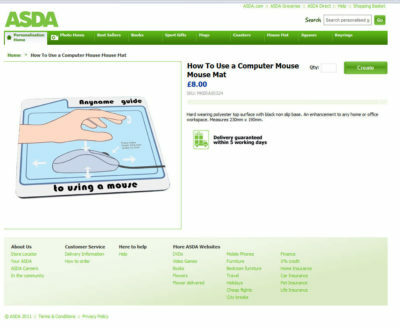 The copyright of the images remains with Mair Perkins. 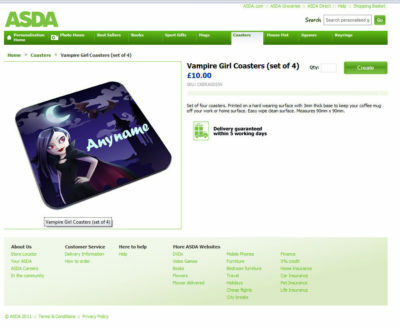 ASDA has an exclusive license to use these.